Valentine's Day is around the corner making it the perfect time of year to wear the "it" color, red. 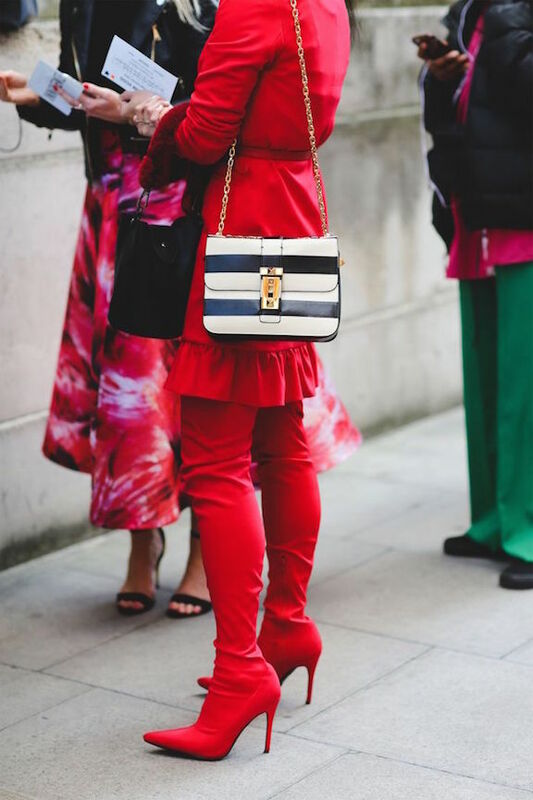 Street style stars know that to capture the camera they need to stand out from the crowd, making head to toe red fashions a popular trend and I'm craving all things red from boots to suits. Bring on the heat in the cold with a bold red coat. For the chic set a red cape is a dream come true and for those with a more rebellious style a red moto jacket is the way to go. A trench coat is a must have closet staple so try donning red trench for a flirty take on the classic coat. Dip your toe into the color du jour and step into a pair of red boots. 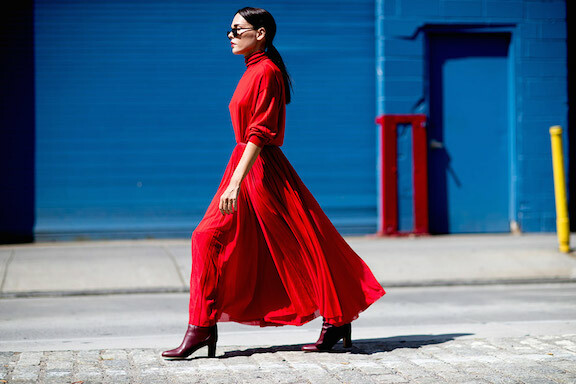 Whether patent leather booties or sock boots, a red shoe makes your feet do the talking and the walking;). I'm always on the lookout for a showstopping red jumpsuit but recently red suits have made a play for my heart. Pair a red blazer with a graphic concert tee to look like rock royalty or go for shades of red from head to toe for a new take on power suiting.